Milarepa, the Tibetan saint, was said to have lived on nothing but nettles for decades of meditation. Yet another weed that most of us pull and throw out, like dandelions, nettle is a wonderful health-boosting herb that should never be dowsed with weed-killer, but plucked and dried to make into an herbal panacea that could make the local pharmacy go bankrupt. Nettle, from the flowering plant genus Urtica in the family Urticaceae, has so many health benefits, they can hardly fit into this small space. Keep reading to see 29 nettle tea benefits. 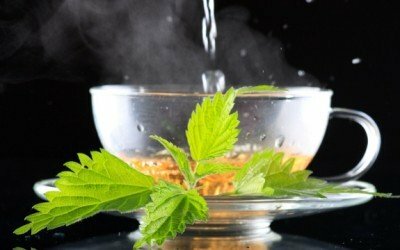 You can brew stinging nettle leaves in almost boiling water and drink daily as a curative to all these ailments. Just be sure to check with your doctor since nettle can interfere with certain pharmaceuticals. 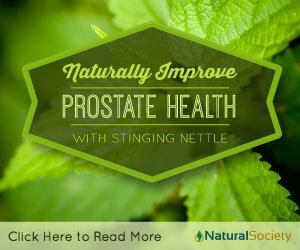 Enjoy nettle tea benefits today! Hello everyone in healthy world. Just a greeting ,now that the drunk,stupid me is gone,hopefully for good. Anyway this stinging nettle does work, used it for gout. Helped better than indomethacin. Is there a recommended daily dose for nettle tea? Is it a stimulant, like green tea? galactagogue” I’m betting you don’t know what half of those mean, since in this context some of them make absolutely no sense. And it “Cures the common cold, eliminates allergic rhinitis and STOPS BLEEDING”? ROFLMAO!!! Yeah, sure, ok. “Oh, you sliced open a vein while sharpening your kitchen knife? Here, have a cupa, you’ll be fine!” LOL! Herbal “medicine” can have *minor* effects on *mild* conditions, but that is it. (And you, with your personal anecdote “proving” I’m wrong, that’s not how science works sweety). It’d be nice if you people were honest in what these plants can *actually* do instead of posting such hilariously ridiculous nonsense. That’s great you have someone to ask questions, but it still true: most doctors, not all, still have little or no training in nutrition. or soups or even veggie smoothies for added flavor. Use the leaves as a poultice for insect bites, sore joints, arthritis pain, bruises, scrapes and rashes……..wonderful plant that ‘stinging nettle’ is…. Put the leaves in a Mason jar, along with a knife, the knife helps to keep the jar from breaking while pouring the boiling water into the jar, set the jar into sink, so IF it breaks it won’t go all over the counter! ( note: I have never had a jar break, but it’s better to be on the safe side.) Fill it with the near boiling water and let it sit overnight. Strain it in the morning, keep in fridge if you won’t be drinking it right then. I put the leaves from the infusion into my compost. I also use the freshly picked and washed leaves in stir fry, smoothies & stews etc. ~ After the leaves are washed & strained I often let them dry on a dish on the counter then crush them and keep them in labeled jars. This can then be used in recipes. The leaves lose their sting after the boiling water is on them and when they are dried. ~ You should drink it soon after making it…within a day or two, it will lose it’s lovely green color, turning an amber color, but if kept in the fridge the liquid is still drinkable. BTW, it has no taste! got a flask for Christmas that i take out everyday , going to start drinking this on a regular basis. Why is it that they say you should ask your doctor’s recommendation before taking herbal or any other alternative medicines when your doctor would have absolutely no understanding of any of these substances you are going to take, because they are not trained in medicines used in alternative medicines? You would probably know a hell lot more than your doctor knows about alternative medicines. So don’t ask ! SO TRUE! We did ask a prescribing doctor just the other day about a med/vitamin combo – they said ask a pharmacist because they didn’t know. Doctors that dole out pills have absolutely no training on herbs and nutrition, nor do they know anything outside of what pill to match up with a symptom. Not so. One of the classes they take is on nutrition. This is usually early in your studies also. When I want info on nutrition I ask my friend who is in medical school as she recently had these classes. Yes about 8 hours on nutrition and vitamins in EIGHT YEARS of study. Pharma hijacked the medical system decades ago and natural remedies threaten Pharma’s profits. An MD can lose their license for recommending something natural. MDs know almost nothing about herbal or any natural medicine. In this case, it would be wise to talk to your doctor first. I had a DVT in my leg (blood clot) and I was drinking nettle tea to help with gout symptoms. I mentioned it to my doctor and he told me to stop drinking it immediately. Because of the DVT, I was taking coumadin (blood thinners) and combining blood thinners with an anti-inflammatory like nettle tea could have actually killed me. I’m not always a fan of doctors and certainly not a fan of pills. But in this case, talking to my doctor could have saved my life. Big Pharma won’t do studies with herbs. They go where the big money is — finding patentable drugs. If patients find symptom resolutions in herbs, Big Pharma would fail to exist. That’s what. Since there are no studies on many herbs, how do we draw conclusion that they are beneficial.? That’s easy. Personal experience. I have done the doctor thing — going to the doctor for my many symptoms, only to find out that a herb, vitamin or mineral could have fixed the problems. So a friend of mine and I took to the Internet to research and the health food stores to buy herbs, minerals and vitamins. Guess what? Many of symptoms are gone. My friend’s allergies and high blood pressure are gone. Where I couldn’t lose a pound to save life about twenty years ago, I am now loosing weight all because I’m taking a mineral. I’ve done 100s of hours of reading blogs, herb reviews, natural doctors books. The research by the medical community on the use of herbs is extremely small, but I can easily find research on patentable prescriptions. I get it: Big Pharma needs to support itself and they answer to their stockholders. But now I know different. Prescriptions are prescribed many times for symptoms, but there may be natural alternatives that can lessen or eliminate many symptoms and cure the overall problem. That is how I draw my conclusion that taking herbs are beneficial — many herbs have the power to heal. Yes, in Allopathy, 1000 ‘s of such personal experience + doctors and lab observations are made to draw a conclusion. That is the difference. Just remember, no vitamin or herbal supplement has killed anyone with normal usage; however, Big Pharma drugs have killed thousands over the years (probably many more in those “lab observations” you pointed out). Do you know, Herbal tea has been associated with Acute liver failure cases? Show me the evidence. Thanks! Okay, medchrome, you truly are an idiot. I looked up your claim and there are cases associated with liver failure. The only things that I found that come close are Green Tea extract and Kava, but the NIH says you would have to consume massive quantities to get your liver failure. In the case of Kava, the potential for harm is 1:1,000,000. So, I’ll take my herbal teas any day of the week over your allopathic drugs or chemo. You are kind of guy who will say vaccines, oh the big pharma propaganda, i will not vaccinate my child and will give him natural infection. I cannot debate with you. You win. It’s called thousands of years of use. Have far back do you think Big Pharma goes? Do you think they had Prilosec or Viagra in Ancient Egypt or Ancient Greece? Think about it. Most “Big Pharma” drugs start out with scientists looking at plants. They identify the parts that produce a desired effect and synthesize it. Aspirin is a good example. Willow bark tea has a mild effect on pain, fever and inflammation. Once early scientists figured out its chemical structure, they were able to devise much more effective synthetics, eventually leading to the aspirin of today. Without significant research into “natural remedies” Big Pharma would have no innovation. Yes, Smarty Pants, & in the 1960’s, I believe it was, the American Cancer Society did extensive research & found that graviola, or guanoabana from the Amazon rainforests cures cancer. But they suppressed their documented research & information because they couldn’t patent or imitate in a lab..the natural graviola tree, bark, leaves, & fruit…& thus couldn’t make money off of their discovery, so they suppressed their own research & cont. to lie to the world & say that they’re still searching f/ cancer cures..& raising money to fund research (which is probably drugs, only) when they already know graviola cures cancer..but don’t want people to find that out..because it’s natural & they can’t make money off of it. & you know what, medchrome, I believe in ghosts! I believe in the holy ghost..or the holy spirit…& Yes, He is real! Now that’s my belief..but..I also have tangible experience & evidence to back it up! & I was cured of 2 lumps the size of an egg ea., just w/ pure graviola powder added to my fresh home-made juices. In less than 2 wk.s I was completely healed f/ less than $38..& I had half or more left over! All pain gone, lumps gone, back to normal healthy. They were in 2 lymph glands. No toxic harmful chemo radiation, & no toxic harmful chemo drugs. Genesis 1:29 is true. Grow your own Stinging Nettles. I have allowed Stinging Nettles and many other plants to go to seed each year. Now I have thousands of volunteer plants coming up every year, with possibly around 1000 (one thousand) Stinging Nettle plants this year! don’t ask doctor about nettle tea he my be embarrassing for him ..ok some old D. my know but young ones is ???? have bought a pack of nettle tea bags recently. good stuff!